The planet earth is inhabited by diverse array of living organisms such as microorganisms, plants, animals and human beings which collectively constitute the biodiversity. Each and every element of the living component of the system has its own role, either positive or negative, to play as a system component. So preservation and conservation of living organisms, whether they are tiny or large, become immense important in playing beneficial role in maintaining biodiversity. Mega-herbivorous animal such as elephant has major impact on the terrestrial ecosystems in which they live and thus on the animals that depend on these habitats. Elephant can be referred as “keystone species” because it facilitates feeding by other herbivores that disperse seeds and supports large assemblages of invertebrates, such as dung beetles, and lower plants such as algae and fungi apart from enriching soil nutrients through dung piles. These algae and fungi are preferred nutrient plants for some reptiles such as monitor lizard and star tortoise in the semiarid tropical forests. Dung beetle accumulation attracts many insectivorous birds. Dung deposition into water holes is being benefited to the Pisces and amphibians. Seed dispersal through alimentary canal induces germination and survival capacity of the seedlings to maintain the forest heterogeneity. Elephant also does some of the silvicultural practices such as creation of paths in dense forest, maintenance of grazing lawns and height of the trees and thinning in thick vegetation cover to keep the sustainable utility of the forest. Identification of subsoil water and natural salt licks through elephants’ strong sense is also shared by the other animals especially the herbivores for which intake of minerals from the natural soil is most important for many physiological activities. The pachyderm is under severe threat due to various conservation problems such as loss of habitat, habitat quality and corridors, reduction of home range, population increase, impact of developmental activities, human-elephant conflict issues and poaching for ivory. Among the factors, some of them may be responsible for major proportions, and some of them involve less proportion. 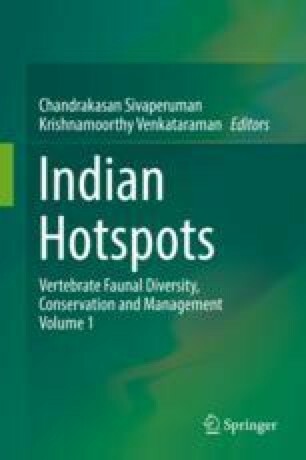 But these are the reasons listed as conservation problems for the long-run conservation of Asian elephant especially in Southern India. This paper is part of the University Grants Commission’s Major Research Project F.No. 42-594/2013 (SR). We thank the UGC for providing fund the Major Research Project. Our sincere gratitude to the Principal Chief Conservator of Forests (Head of Forest Force), Tamil Nadu, for issuing us permission to enter into forest areas of the Tamil Nadu part of the Nilgiri Biosphere Reserve. Our special thanks to Mr. I. Anwardeen, IFS., the Conservator of Forests, Coimbatore Circle, for providing constant support to our research works. We record our sincere thanks to the District Forest Officers of Coimbatore, Nilgiri North, Nilgiri South and Gudalur forest divisions. We thank our college principal and head of the department for giving constant encouragement to our team. We thank our lab students Mr. A. Samson and Ms. A. Chitheena for helping us in various ways in the field as well as in lab.